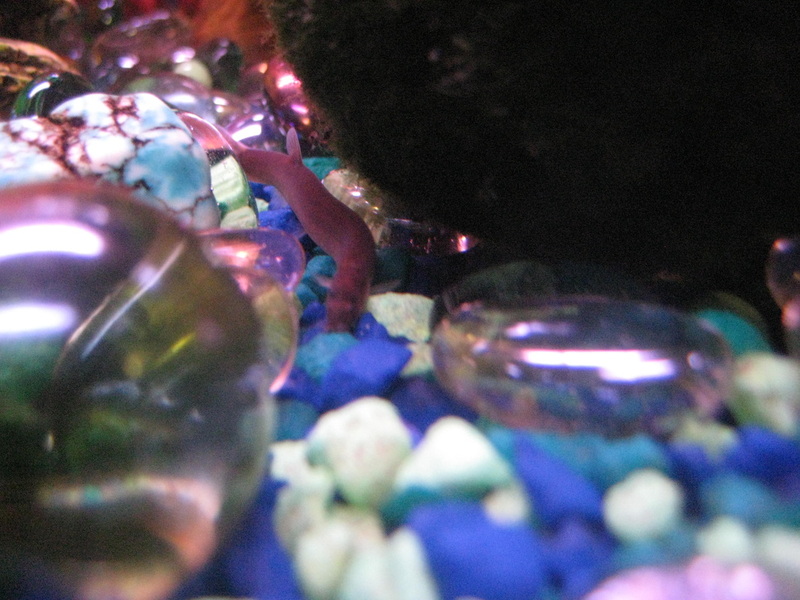 This is not all of the animals in my fish tank, I'm hopefully going to get more pictures. I still have some more fish. I don't really have a name for her, I just call her shy-shy, because she is really shy. More pictures are coming soon of THE KING OF THE TANK!!! and maybe some videos! See more about, The King! 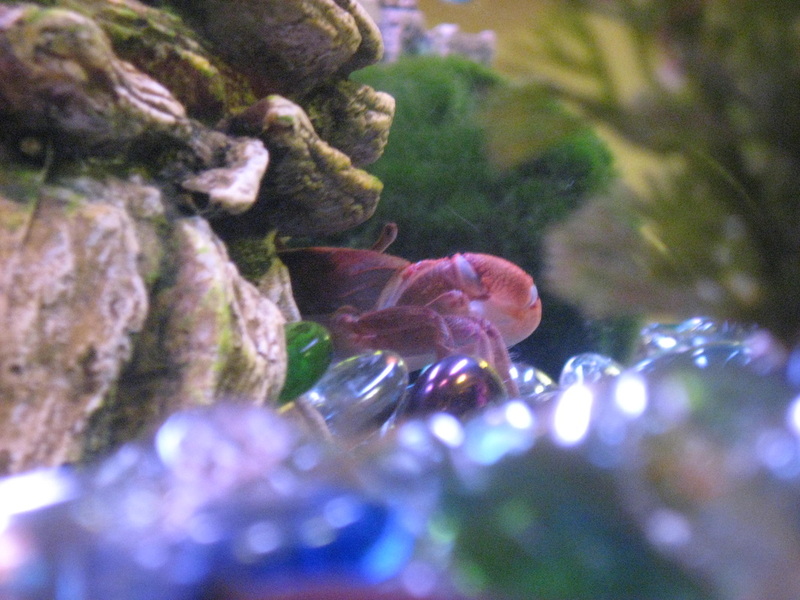 His name is Beefy but I call him the King of the tank because he is really buff and strong and has a really big claw!!! My plocostomis is really cool, his top fin can go up and down like a peacock or a fan. I call him Mr. coolie or molie because he's blind and has wiskers. 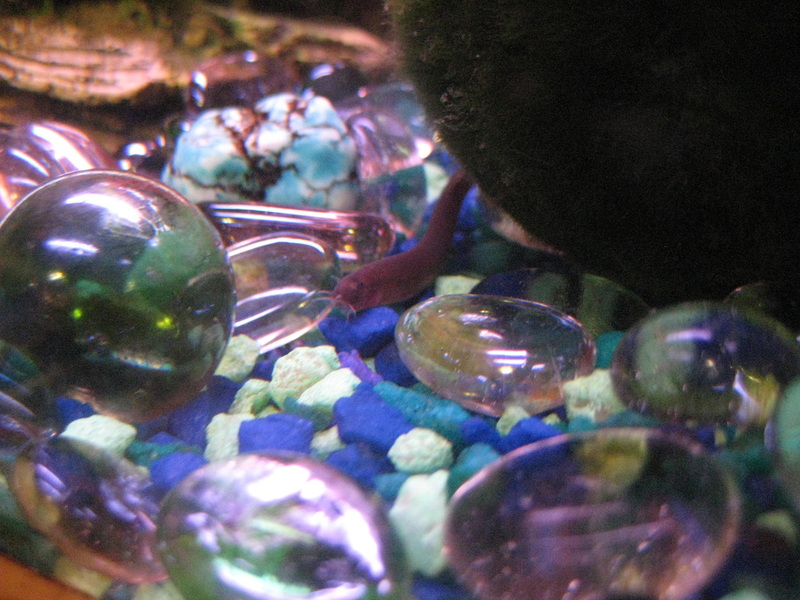 I have seven shrimp, the're called glass shrimp because there transparent. My neon tetras really look like they glow, I think it's because the light is reflecting off of them. My male guppie looks pretty nice, but my female is soooooooooooooooo fat!!!!!!!!!! That's because she's pregnant all the time!!! I have 16 baby guppies!!! They look allot like there Mother!!! Good News: Got new fish that was from South Africa, baby guppies have a bigger jar to live in. Bad News: New fish from South Africa disappeared, all my shrimp died, My female guppy died, some of my baby guppies died. Weird News: My coolie loach is way fatter. 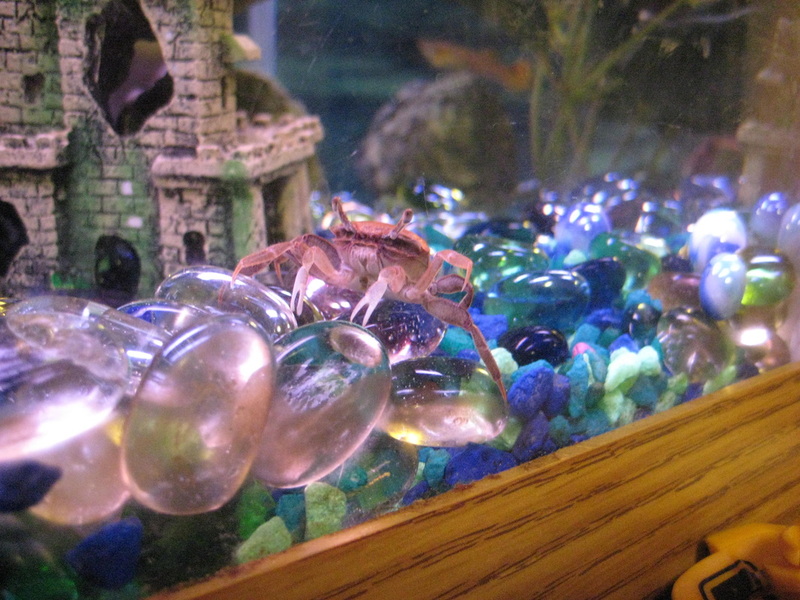 Good News: both crabs are really getting along great! Bad News: Since I'm moving I have to give away my fish tank, but not right now, My male guppie has a disease. Bad News: I sold my baby guppies, my male crab died.